What’s the most trusted news source in the UAE? Who bagged the MENA Effie Grand Prix? 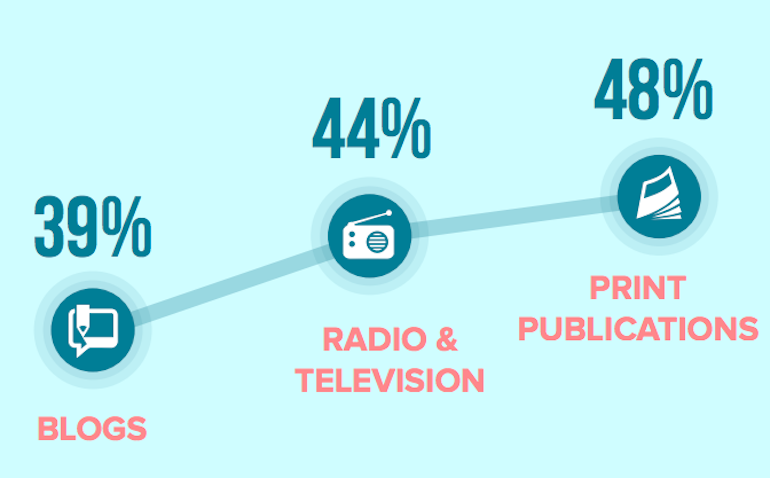 According to a YouGov study of more than 1,000 residents, commissioned by MEPRA, print publications are the most trusted source of news for products and services (48%), followed by both, TV and radio at 44%, and blogs coming in as the least trusted at 39%. Interestingly, 57 percent said social media has become a key source of information about goods and services today compared to five years back, making it the most important source of information. But, 50% said they have little trust in what they see on social media. ALSO READ: How much do people trust influencers when buying products and services? Newspapers were the second-most important source of information for 50% of the respondents, followed by television (45%) and radio (41%). However, there is a general distrust in mainstream news media with 59% agreeing that so-called ‘fake news’ has lowered their trust in mainstream news media. Wedding guests spend $9 million on what?! What does BLOM Bank’s PMI tell us? What’s the future of IoT in MEA in 2018? Which advertising channel is the most trusted in the UAE? What’s the real influence of an influencer?